Discover Bank is one of the nation’s most popular banks because of its many credit card rewards and promotions. And it’s not just the credit cards that you need to unveil with Discover Bank, but their CD rates are also something worth considering. Discover Bank’s rates are certainly comparable with other banks that are currently on the leader board for the nation’s highest CD rates. Whether for short term or long term deposits, Discover Bank’s rates shows just how much Discover can offer back to their customers. Discover’s rate of 0.75% for a 6 month CD is the second highest rate nationally available, after VirtualBank’s 0.85%. 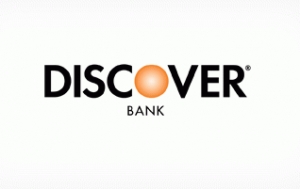 Discover’s 5 year CD is just also slightly lower than Intervest National Bank’s 1.95% rate. Other interesting rates from Discover is their 7 year and ten year term at a good 2.50%. Starting your savings is easy with Discover. All you have to do is choose an account type, (you can even choose five at a time), enter your personal information, fund the account using any checking or savings account with either a personal check or wire transfer, and once you’ve verified your information, you can submit your application. Once you already have your CD account opened, it doesn’t mean that you don’t have to see it up until it matures. Discover allows you to track and manage your account 24 hours a day using either phone or Internet. You can choose to accumulate interest in your CD account, and you also have the option to transfer the interest to another account. The advantage of this is that if you need to use the earnings made by your CD, you don’t have to withdraw your whole CD and suffer a penalty. It’s as if your money is really earning for you. Discover Bank is well known for offering credit cards with great promotions for their users, but their CD rates aren’t too bad as well. 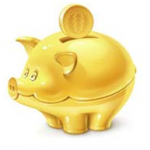 If you’re looking to invest with a stable bank that offers fixed returns, then Discover Bank is a good choice. How Does Discover Bank Compare to Other Bank’s CD’s? First of all, let’s start with the short term CDs. The highest 3 month CD term is currently from OneWest Bank and Virtual Bank with a rate of 0.60%. This puts Discover Bank’s rate a little behind, but still competitive. Again both OneWest Bank and Virtual Bank are at the top of the 6 month term with a rate of 0.85%. 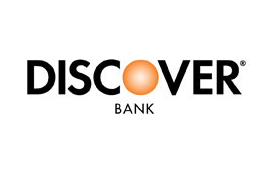 Since Discover Bank’s rate is 0.80%, it’s almost comparable. As for 1 year CDs, the leading rate for banks is 1.15% from Popular Bank. Discover is also offering this rate, but for an 18 month CD. Discover Bank is also consistently doing well with their long term CD’s since the highest for the 3 year term is from CIT Bank with 1.54%, this leaves Discover’s rate only 0.04% behind. Discover Bank has had its roots ever since 1911, showing their experience and strength in the banking industry. Today, they manage an incredible amount of over $34 billion in deposit accounts. Discover Bank has also stayed ahead of the field with their 24/7 online banking showing that their roots may be traditionally brick and mortar, but that they can also keep up with the changing times. They also have an online security guarantee. Discover Bank accounts are FDIC insured, meaning your money is safe up until the amount of $250,000. Aside from that, they also insure “non-interest bearing” transaction accounts to the full amount beginning from December 31, 2010 up until December 31, 2012. With Discover Bank’s reputation and years of experience, banking with them at such generous rates should be worth your while. When dealing with money and finances, one thing we’re all too familiar with are interest rates. Savings accounts, certificates of deposits and money markets will have us jump for joy when the interest rates are high, but when it comes to credit cards, interest is best left low. After all, why do so many people get into credit card debt? Aside from the all too familiar reason of charging more than they can afford, credit card interest rates also play a crucial role. Most of us are just too loose when it comes to choosing the best credit cards. When a new card comes in the mail that tells us that we can immediately start charging, our eyes light up like a child with a new puppy. We don’t even bother to check what happens should we default on payments. It only comes as a shock once we’ve “forgotten” to pay the full amount, only to see the sky-high monthly interest that’s charged. Ouch. So instead of accepting just whatever that comes in the mail, be sure to check how much interest that card will charge you should you default on payment. If you see something that doesn’t look too agreeable, don’t hesitate to go and chuck it out the window. After all, there are loads of other cards out there that can give you the low interest that you deserve. And one more thing, there are a lot of credit cards that promote 0 interest APYs. This can certainly be a good thing especially if the introductory period is long enough. But what happens after that? Be sure to check the real interest rates that comes after the introductory period. The next time you shop for a credit card, don’t be lured just by the introductory APR. Take note of what lies after that and choose a card with a low interest rate to save you from heavy increases in interest penalties.